How are you all doing? It’s the last day of October 2017. Time waits for no man. By His grace, I continue to work on the sequel to Knit Together. 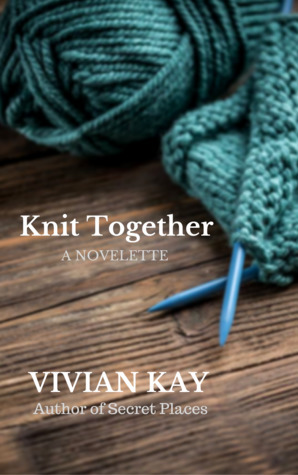 If you are yet to read Knit Together, you can one-click here to meet the characters. My current publication date goal is February 8, 2018. I’ll keep you posted if things change. To whet your appetite, I’m sharing a snippet from Difficult Decisions. Take care! Ixora Berhanu was alone in the bed and breakfast’s office when her cell phone dinged. She dropped the pile of receipts in her hand on the laminate desk and picked it up. The text message came from her sister Marigold. My sister-writer Unoma Nwankwor was the first person to talk to me about an author tagline. I’m glad she did because it made me think about the kind of faith stories I wanted to tell. When I published Secret Places, I was forced to have some interesting conversations with family and friends about the issues discussed in the book. I’m still polishing my tarnished halo. Will appreciate any anti-rust tip. On a serious note, I’m thankful that we don’t have to be perfect before we can stand in God’s presence. He knows everything and He still cares. Isn’t that liberating?